In grasses under Cottonwood trees growing from buried rotten wood, or rotten roots. Also found in the mountains under Aspen and Conifers. They are very similar to the Mica Cap Inky but larger. Warning: This species is not to be consumed with Alcohol or even several days before and after. 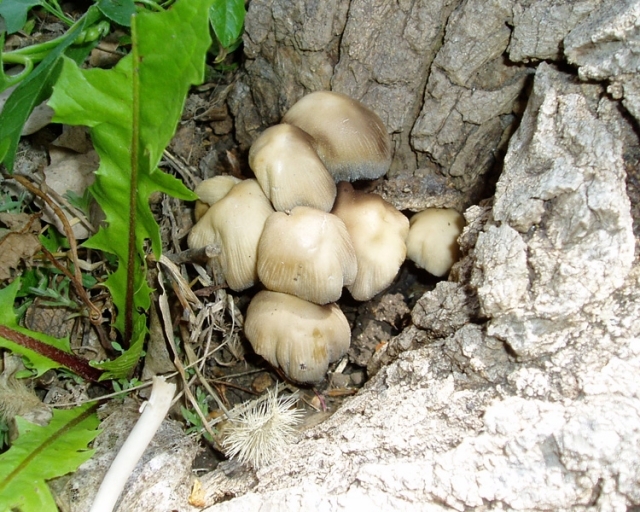 This mushroom can give you coprine poisoning when consumed with alcohol. Otherwise, its is a fine edible very much like the Shaggy Mane. Deliquescing (liquifying to ink) with age.